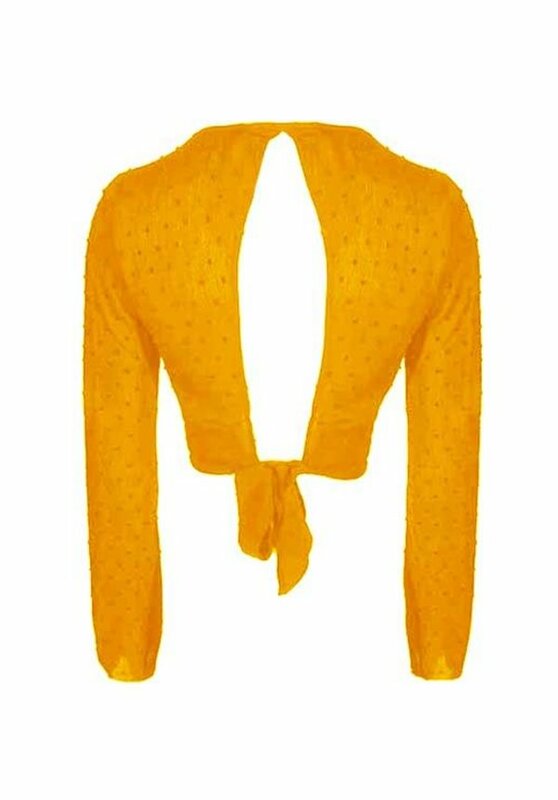 This yellow top has cute little dots all over. 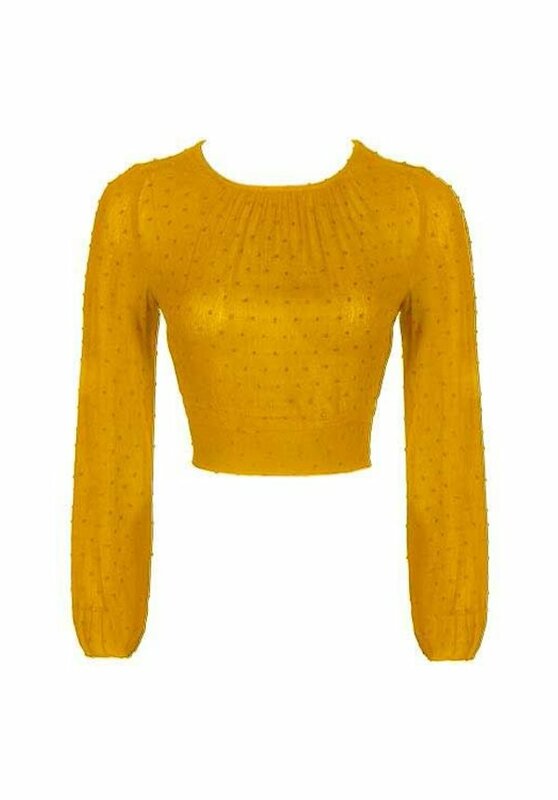 Furthermore, the top has a high neckline and long sleeves. 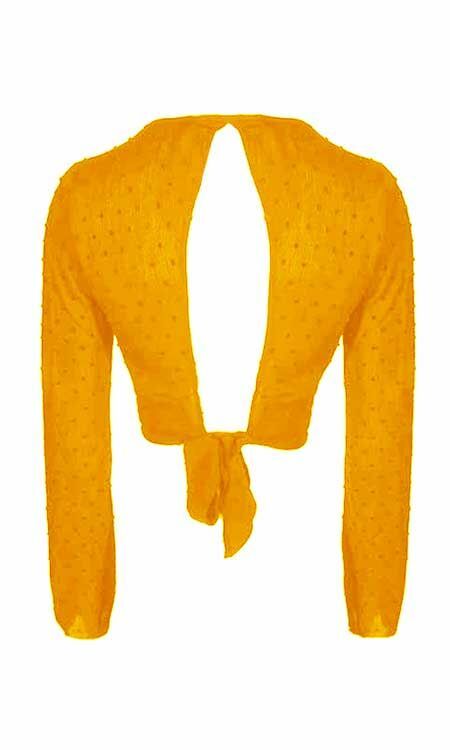 The back of the top can be tied. 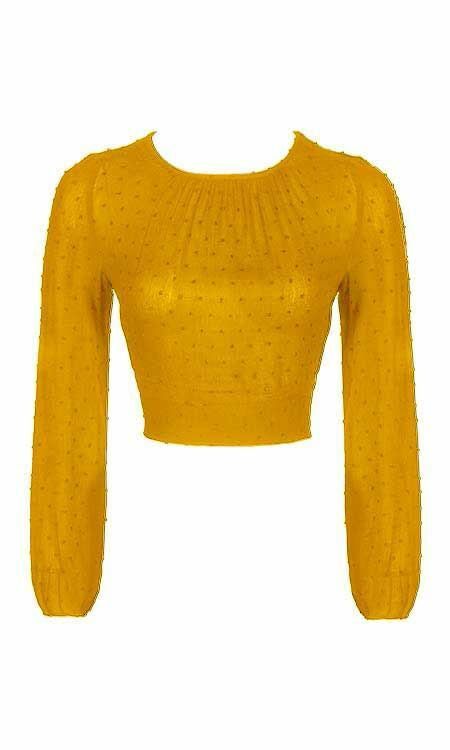 This top has a regular fit, we recommend to order your usual size.